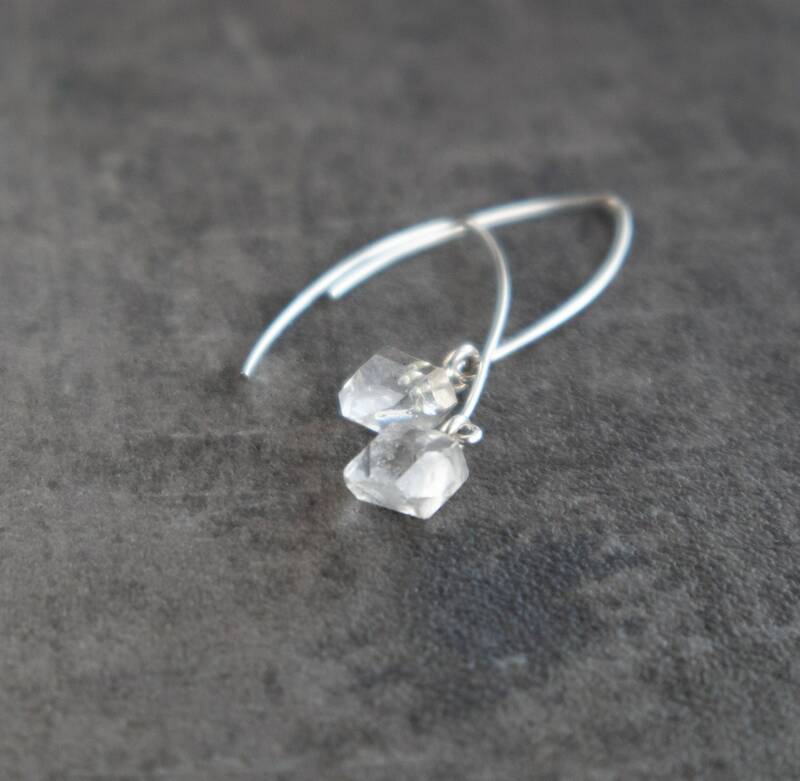 Beautiful, minimalist earring featuring gorgeous Herkimer Diamonds. 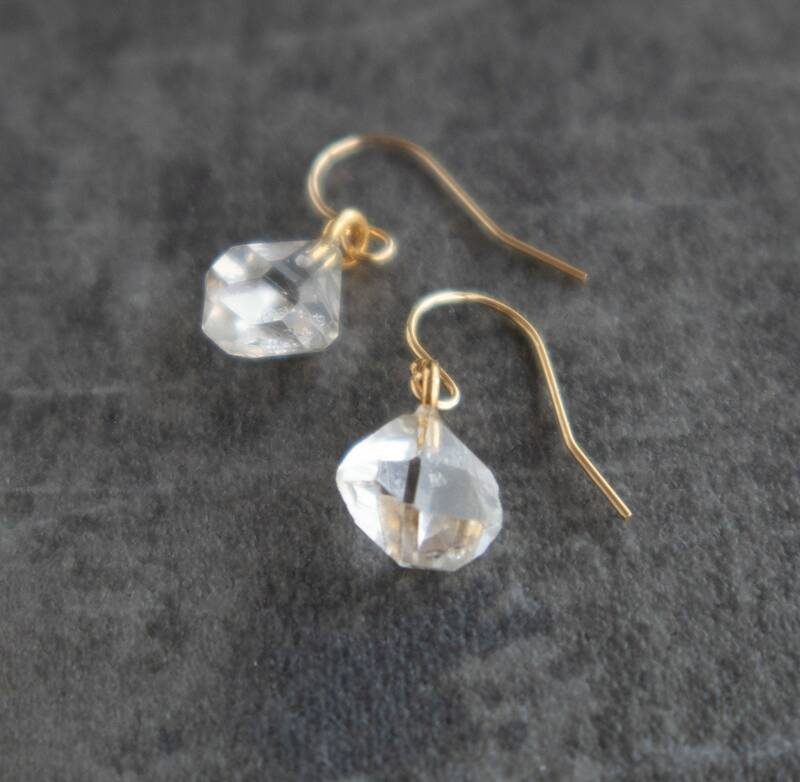 This dainty earrings are available in two styles in 14K Gold Filled or Sterling Silver. •Unique, natural, elegant! 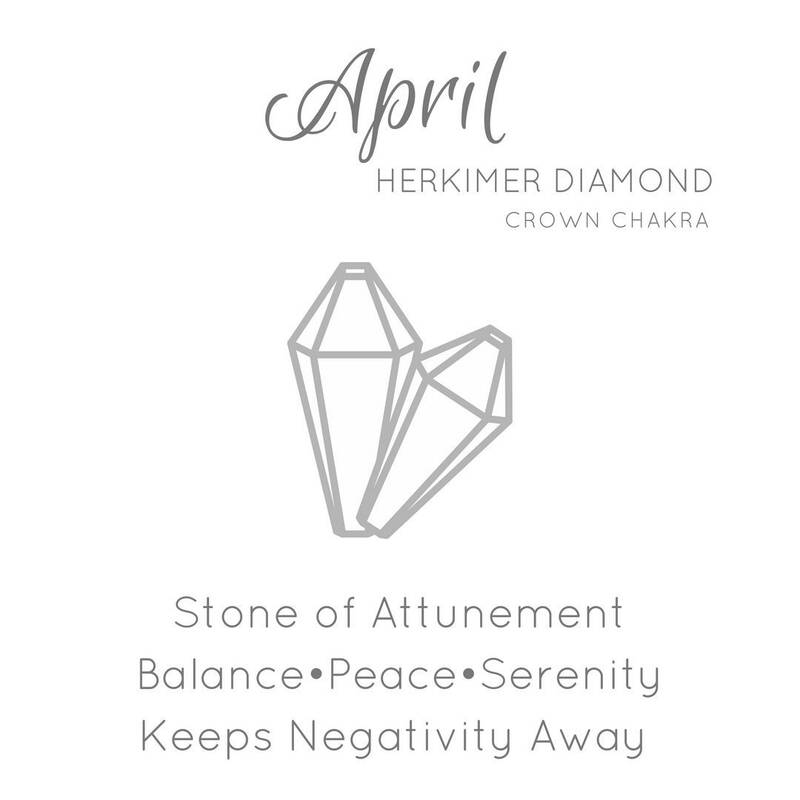 Perfect gift for April birthdays! 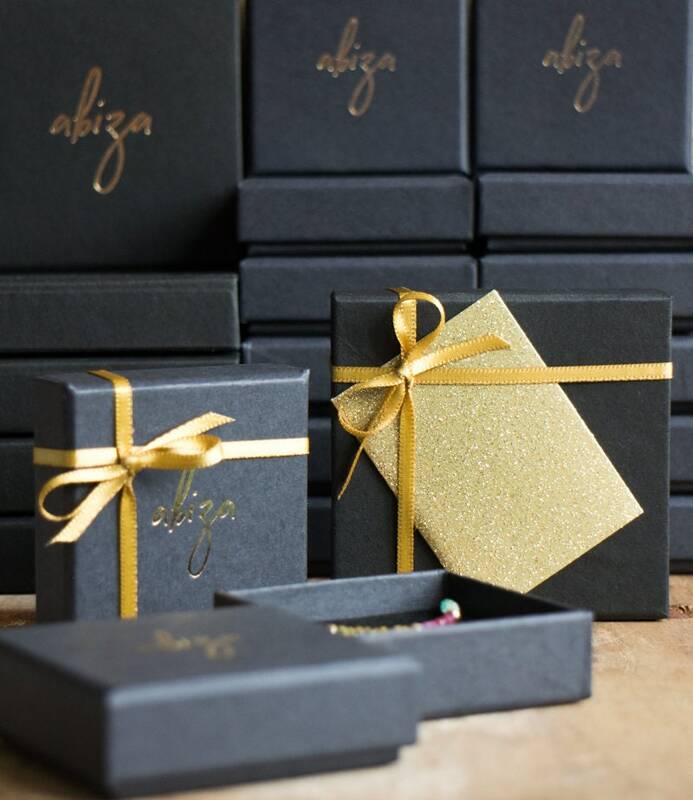 They come with a crystal information card in a beautiful Abiza gift box. 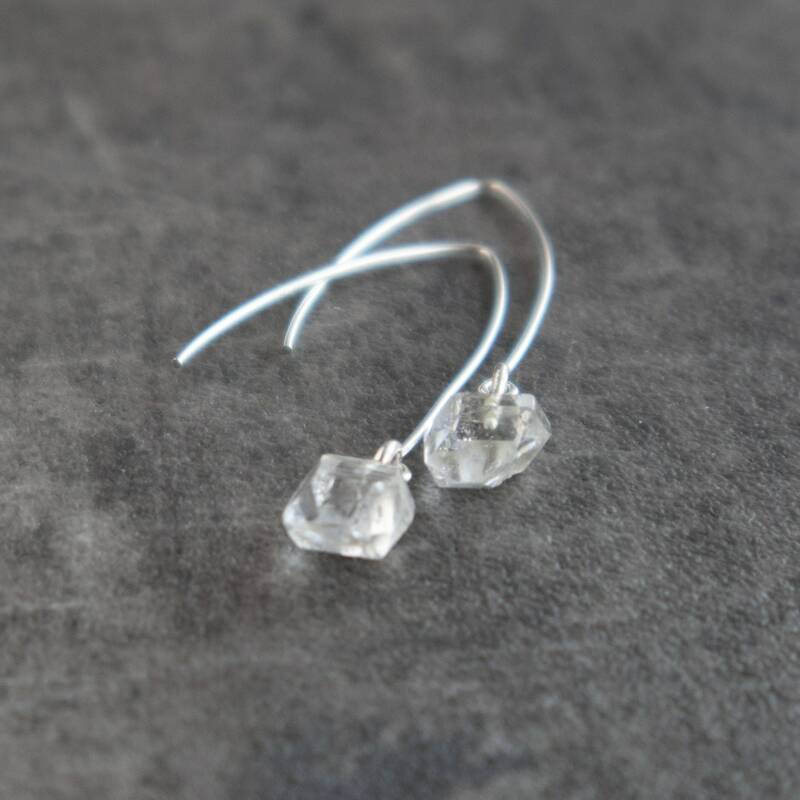 •Stone sizes vary between 9-11mm. Measurements are given in the 3rd image. 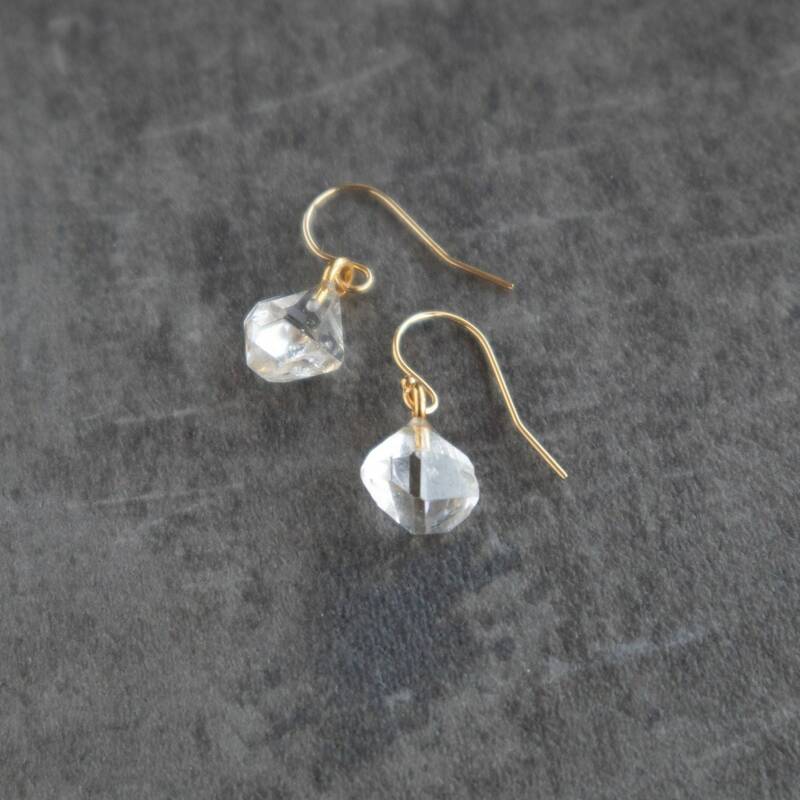 •These are not cut, raw stones in their natural mined shape. They'll be hand-matched to the size but no two will be exactly the same. 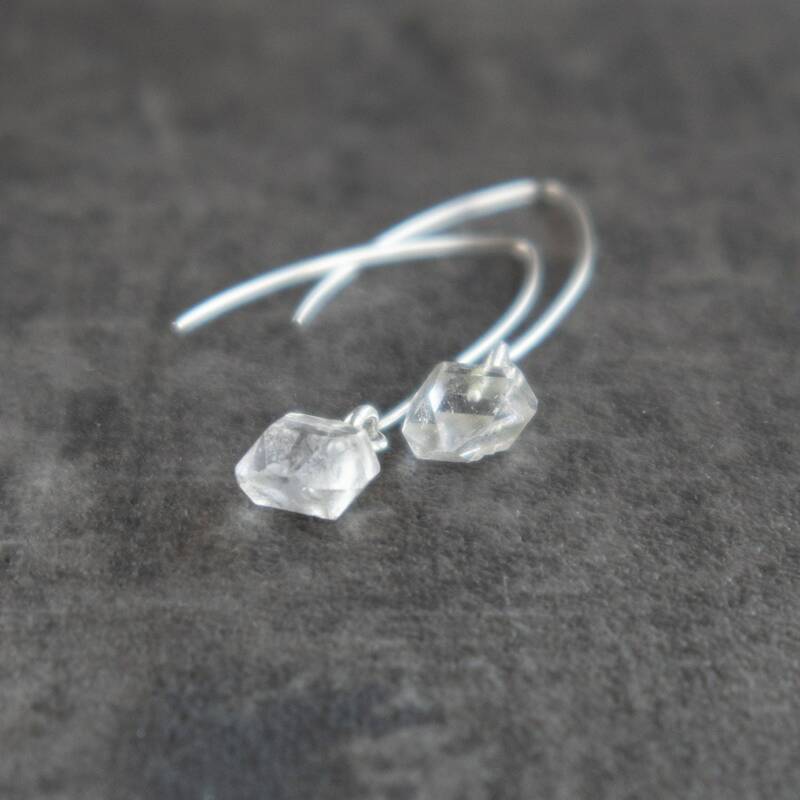 Although these are very high quality stones with lots of sparkle and clarity they might feature some colourless inclusions. 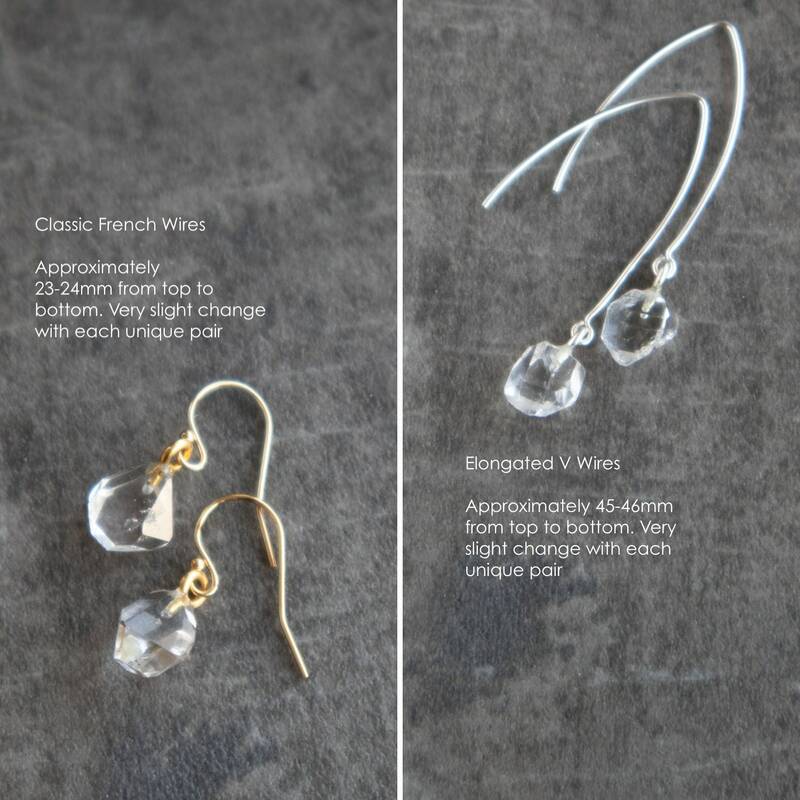 •You can choose classic French Wires or Elongated V wires. Please see the 3rd-5th-6th images. Magnifici orecchini. Molto eleganti e raffinati. Di gran gusto. Saranno sicuramente graditi come regalo di Natale. So lovely and delicate. The shop was so accommodating also, I saw a pair of earrings I wanted to purchase and they were sold out. So after I contacted them, they offered to make another pair. Communication was fast and I received the item promptly. And the most important, I love the earrings! Don't hesitate to purchase from this shop!! Very fast shipping, the item is lovely!! I put it in the moment I received it, so elegant and chic! Definitely worth the price, I'm so happy with it! !